TC New Bodhran Drum Knob Tipper/Bodhran Beater Rosewood/Bodhran Tipper Stick 9"
Please review the full item description of item "Performance Percussion 18 Inch Shamrock Design Bodhran" for all information regarding delivery and technical specifications. 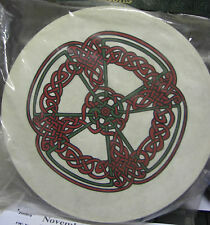 Waltons Mini Bodhran - 12"
Plain design. Genuine hand crafted Irish drums with a beater. Great sound. 15" Bodhran with Sturdy GoatSkin. DVD Bodhran Basics By Conor Long. Hardwood Beater. The Waltons classic range of standard Bodhrans are handcrafted from the finest woods, with heads. 15" Bodhran with Sturdy GoatSkin. EACH BODHRAN SKIN IS UNIQUE SO SKIN COLOUR MAY DIFFER. BODHRAN COVER. The Waltons classic range of standard Bodhrans are handcrafted from the finest woods, with heads. 18" Bodhran with Sturdy GoatSkin. DVD Bodhran Basics By Conor Long. Hardwood Beater. The Waltons classic range of standard Bodhrans are handcrafted from the finest woods, with heads. 15" Bodhran with Sturdy GoatSkin. The Waltons classic range of standard Bodhrans are handcrafted from the finest woods, with heads. Hardwood Beater. 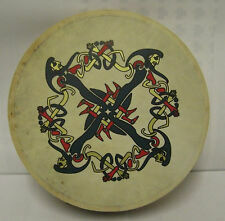 FMD TUNEABLE BODHRAN 16" x 4 1/2". FMD TUNEABLE BODHRAN. DESPITE THE LOW PRICE. Price is negotiable. WE CAN SUPPORT WHOLESALE. AND THE SKIN STAY ON WELL. 18" Bodhran with Sturdy GoatSkin. EACH BODHRAN SKIN IS UNIQUE SO SKIN COLOUR MAY DIFFER. BODHRAN COVER. The Waltons classic range of standard Bodhrans are handcrafted from the finest woods, with heads. 15" Bodhran with Sturdy GoatSkin and Heavy duty straight arm for holding. DVD - Bodhran Basics by Conor Long. An introductory guide to playing and caring for your Bodhran. 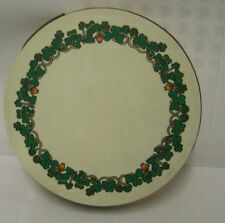 15" BODHRAN COVER. Hardwood Beater. 18" ( D3.5") Bodhran with Sturdy GoatSkin and Heavy duty straight arm for holding. DVD - Bodhran Basics by Conor Long. An introductory guide to playing and caring for your Bodhran. Hardwood Beater. 18" ( D3.5") Bodhran with Sturdy GoatSkin and Heavy duty straight arm for holding. DVD - Bodhran Basics by Conor Long. An introductory guide to playing and caring for your Bodhran. Bodhran 18 " cover. 12" Bodhran with Sturdy GoatSkin. DVD Bodhran Basics By Conor Long. Hardwood Beater. The Waltons classic range of standard Bodhrans are handcrafted from the finest woods, with heads. 18" Bodhran with Sturdy GoatSkin. The Waltons classic range of standard Bodhrans are handcrafted from the finest woods, with heads. Hardwood Beater. 12" ( D3.5") Bodhran with Sturdy GoatSkin and straight arm for holding. DVD - Bodhran Basics by Conor Long. An introductory guide to playing and caring for your Bodhran. Hardwood Beater. Mini bodhran with a clover leaf design on skin. A great little bodhran for any young budding percussionist. Buy from the experts for the friendliest service and best after-sales care! All of our sales staff are musicians, and between us we have a wealth of musical knowledge and expertise. 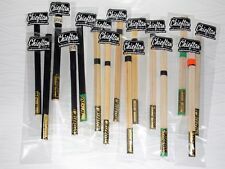 Professional Bodhran drum tippers/beaters/reed used by bodhran players round the world with adjustable band to give bodhran a soft snare or a hard beat. Top of tipper is covered in 22 caret gold leaf unique to the Chieftan Range. 8" Bodhran with Sturdy GoatSkin. The Waltons classic range of standard Bodhrans are handcrafted from the finest woods, with heads. Hardwood Beater. FULLY PERSONALISED BODHRAN. THESE BODHRANS ARE HAND MADE WITH WHATEVER IMAGE / CREST / DESIGN, ETC THAT YOU WOULD LIKE ON IT. FAST DESPATCH & FRIENDLY SERVICE. The flags are supplied without a pole but have a pole pocket and tie strings. The flag is 34” x 20” in size. 34” x 20” in size. Machine washable. 18" ( D3.5") Bodhran with Sturdy GoatSkin and Heavy duty straight arm for holding. Lightweight 18" Bodhran Nylon Cover Case with Handle. DVD - Bodhran Basics by Conor Long. An introductory guide to playing and caring for your Bodhran. 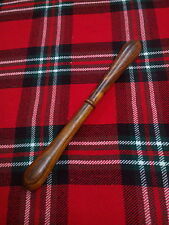 Double Sided Bodhran Brush Beater. Irish Made For Professional Players. Length : 22cm. Irish Made Bodhran Beater/Brush. (Tape shade may vairy). Dispatched From The UK. 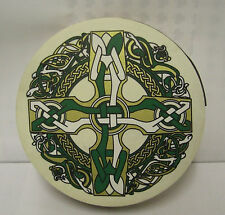 Mini bodhran with a knotwork design on skin. A great little bodhran for any young budding percussionist. Buy from the experts for the friendliest service and best after-sales care! All of our sales staff are musicians, and between us we have a wealth of musical knowledge and expertise. Beech dowelsand I use professional drumstick grip (promark. Grip: Expensive ProMark drumstick professional grip. Bodhran Stick/Beater/Tipper made by professional bodhran player Tad Sargent. Video links below ). 12" Bodhran with Sturdy GoatSkin. DVD BODHRAN BASICS. The Waltons classic range of standard Bodhrans are handcrafted from the finest woods, with heads. Hardwood Beater. Hardwood Beater. 18" ( D3.5") Bodhran with Sturdy GoatSkin and Heavy duty straight arm for holding. Lightweight 18" Bodhran Nylon Cover Case with Handle. Efficient Economic Service. Free black Bag and Tipper. natural Goatskin head. Hand made and cured tanned Goatskin Drum head. Tune able with Allen key. one bar in middle. These handcrafted hawthorn wood, bodhran tippers has been turned from native Irish wood, which. Hawthorn is a hardwood, with the characteristics of blackthorn. Genuine Irish Hawthorn Wood. No6 Length; 23 cm Wt. 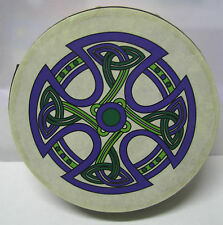 Irish 18" Bodhran Drum Nylon Cover Case Bag. Bodhran Bag Nylon Cover Case. 2:Lightweight 18" Bodhran Nylon Cover Case. 3: Strong canvas bodhran bag with soft fleece. Bodhran Bag-Black. 4:Large front pocket for accessories. Good for Beginners. Bodhran Music Schools, Clubs For Children. Hand Carved, Mahogany Color, White Cocus Wooden Cipin (Beater) and Individually Boxed. It has a T-Cross support and a Goat Skin Head. 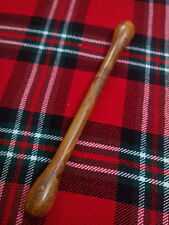 Irish Bodhran Beater / Bone / Tipper, or cipín.